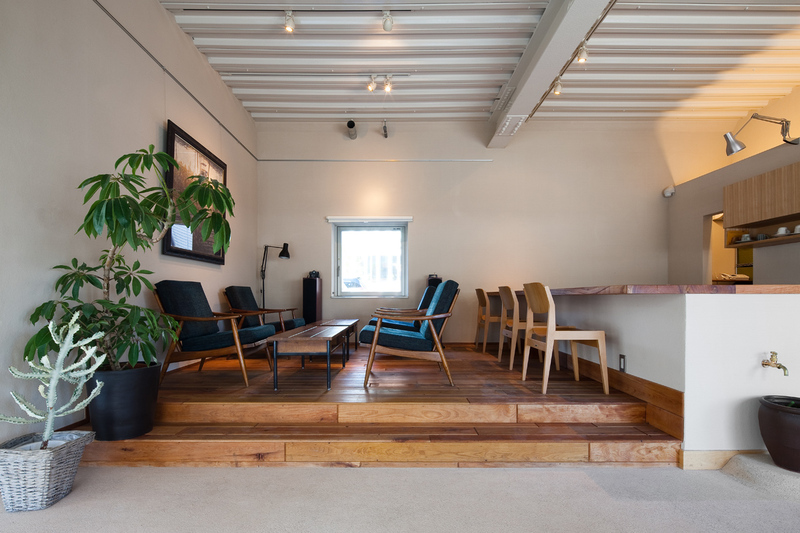 This cafe is owned by a design office director located in Kokura Asano san-chome. The design concept is aiming to provide a space for me-time of a single person rather than entertaining guests. 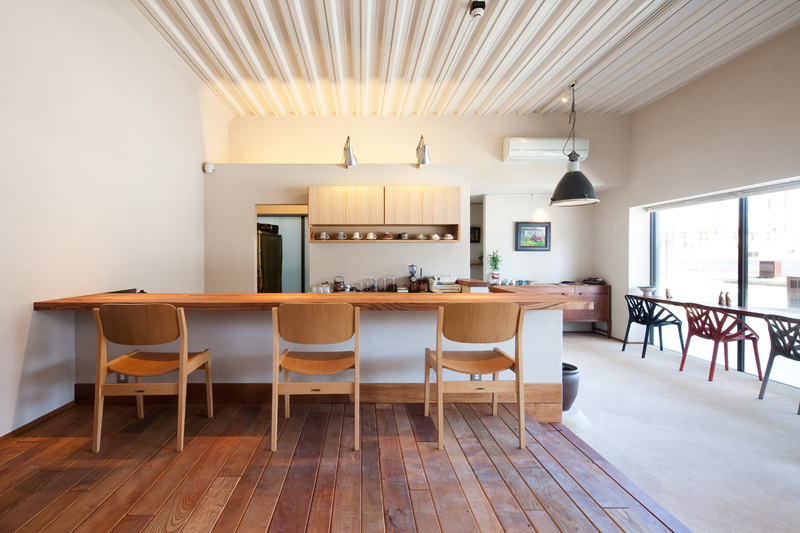 The interior finishing was made with natural material such as tataki and used material for flooring. Design was the collaboration with the Kitakyushu Architectural Student Association (Tonica), lighting design by Lynn Inkoop, Ltd.